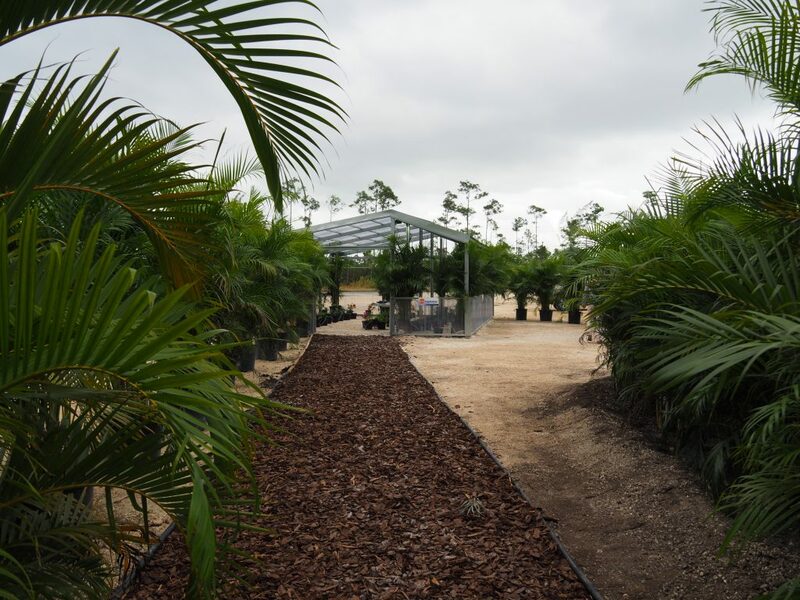 SUNfarmings Solar-Greenhouses, bioltec’s fuel efficiency management based on renewable fuels and bioltec’s smart conductor – an energy management system – are being teamed up as a hybrid system together with sustainable mobility and local water saving food production to showcase a realistic approach towards the Global Goals. 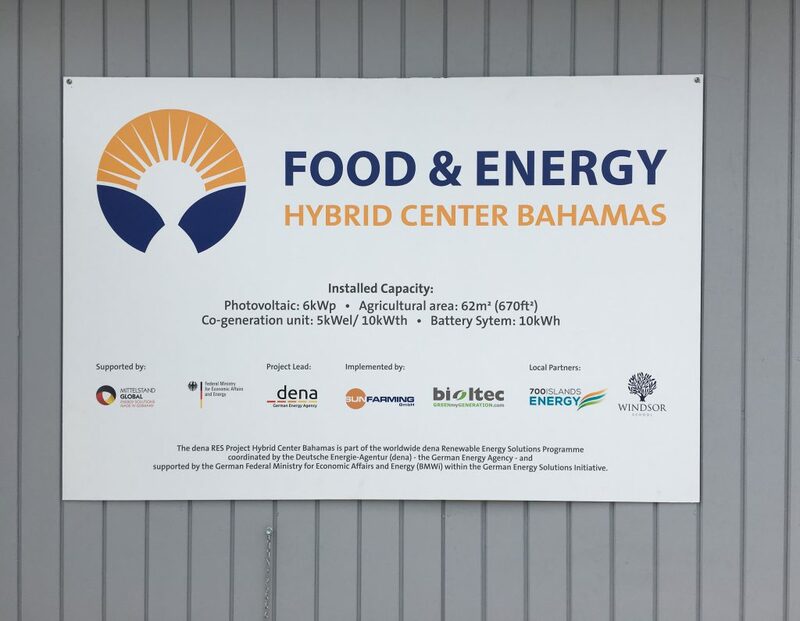 This is the technological basis for demonstration, capacity building, research & development and transfer of technology in the project Hybrid Center Bahamas. 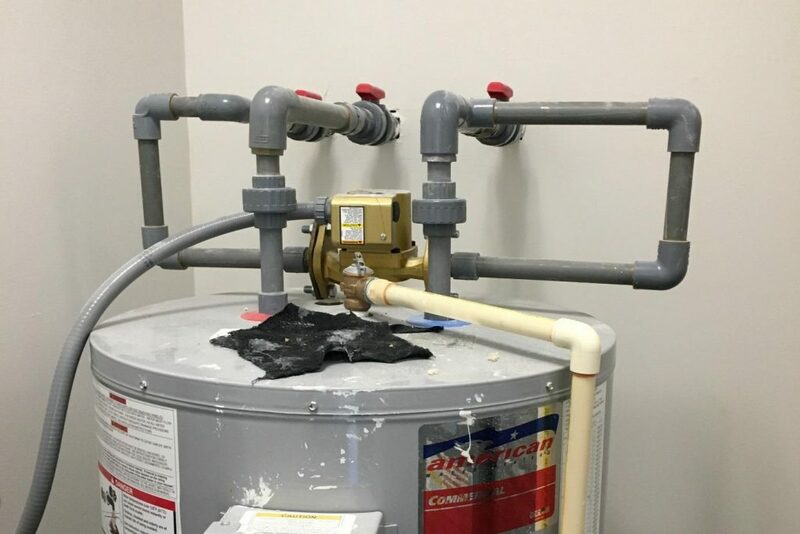 This training and demonstration center for renewable energies, energy efficiency and sustainable mobility for the Bahamas is implemented together with the local partner 700 Island Energy at Windsor High School at Albany, Nassau. 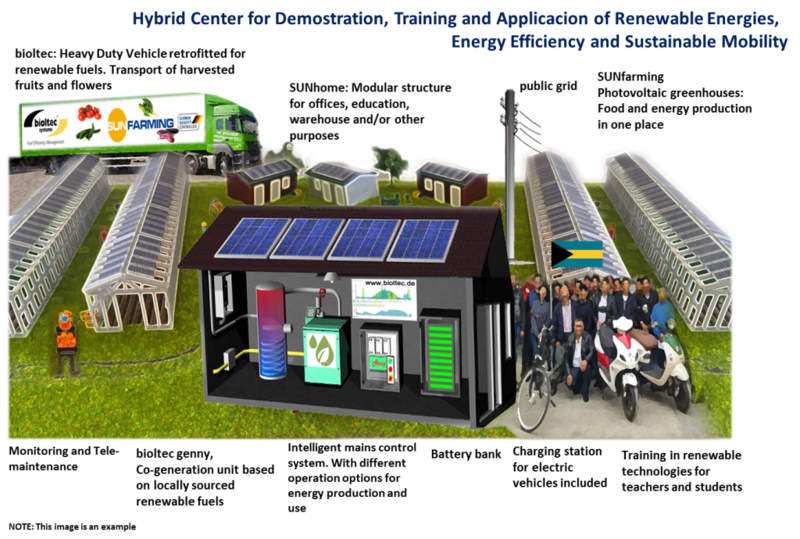 The Hybrid Center consists of a unique SUNfarming Food & Energy production unit with 6 kWp capacity and a 100% biofuel fueled diesel cogeneration plant (CHP) that generates electricity and hot water with 5 kW of electric and 10 kW of thermal power by consuming biofuels. 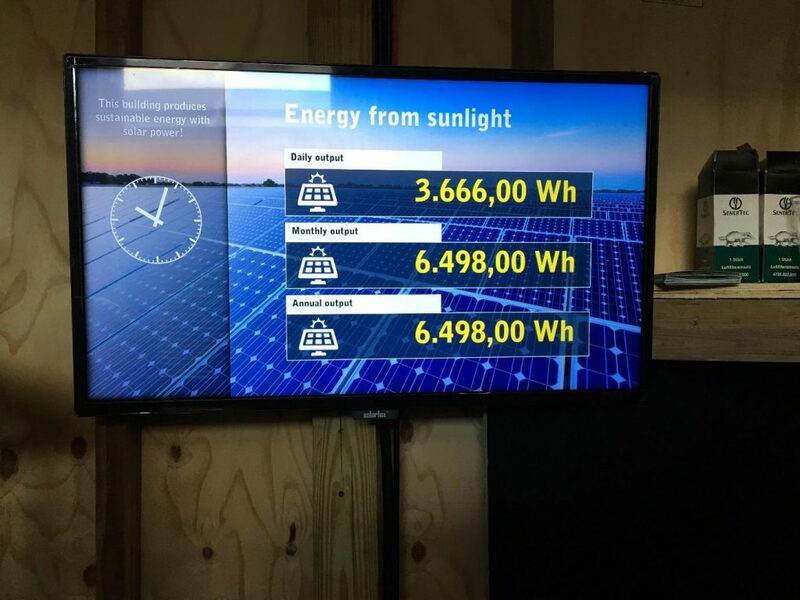 An efficient intelligent monitoring system controls the PV plant, the Combined Heat and Power unit (CHP) (fuel consumption 2 l/h) and a lithium ion battery bank (in total 10 kWh) within the electric power system (on-grid or 24/7 off-grid with internal consumption), depending on the local demand for energy (electricity and heat). 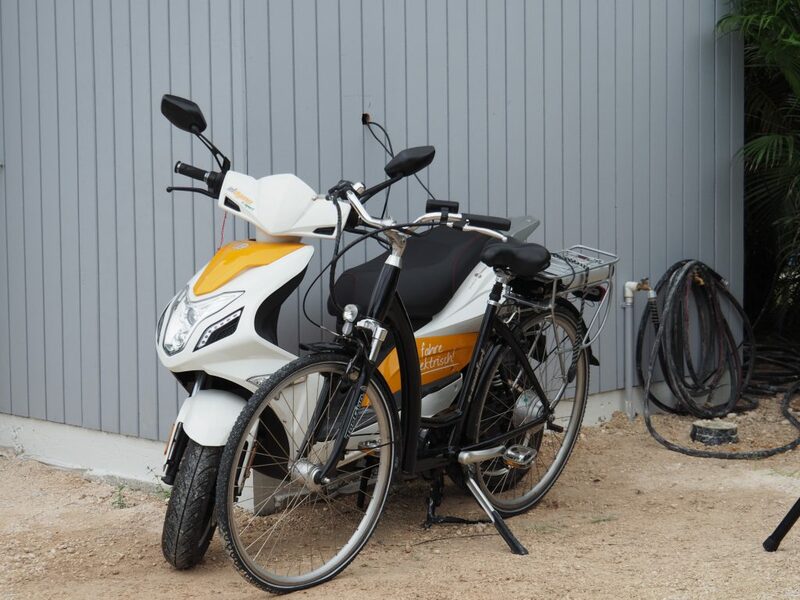 The Hybrid System is adapted to the respective requirements by means of a real-time efficient smart control system. 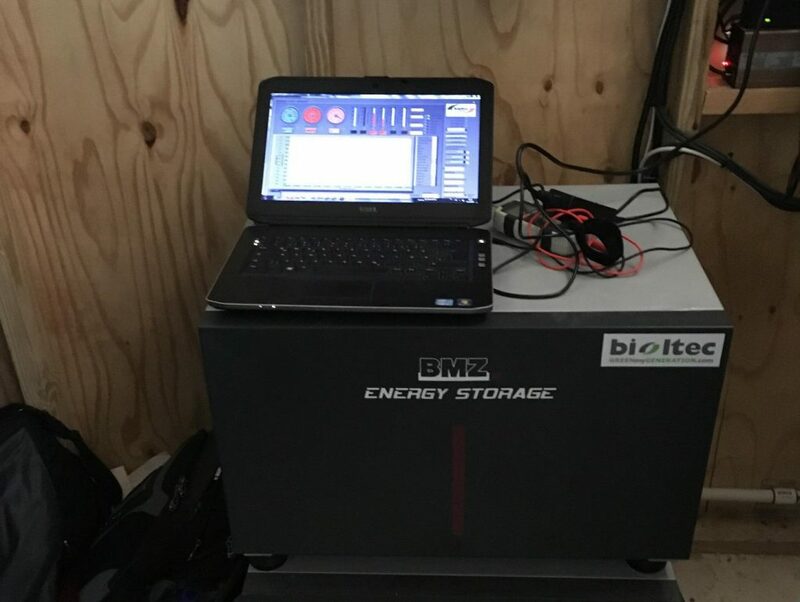 This technology was in-house developed by bioltec and smartly conducts PV, CHP with battery storage within the electric power regime (feed to grid vs. internal consumption), depending on the local energy demands (electricity and heat). 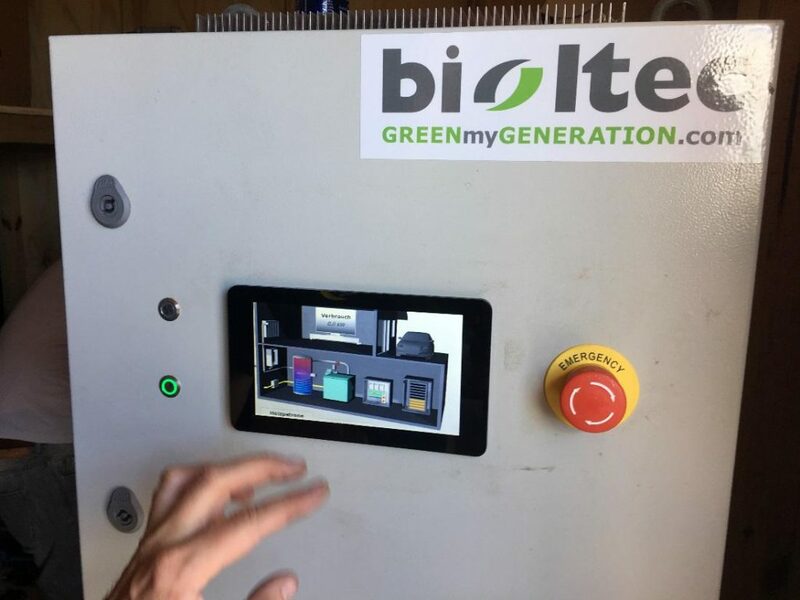 bioltec added a remote monitoring system to all applications, capable of analyzing, maintaining and taking control via internet from/to all over the globe (i.e. Bahamas – Germany). 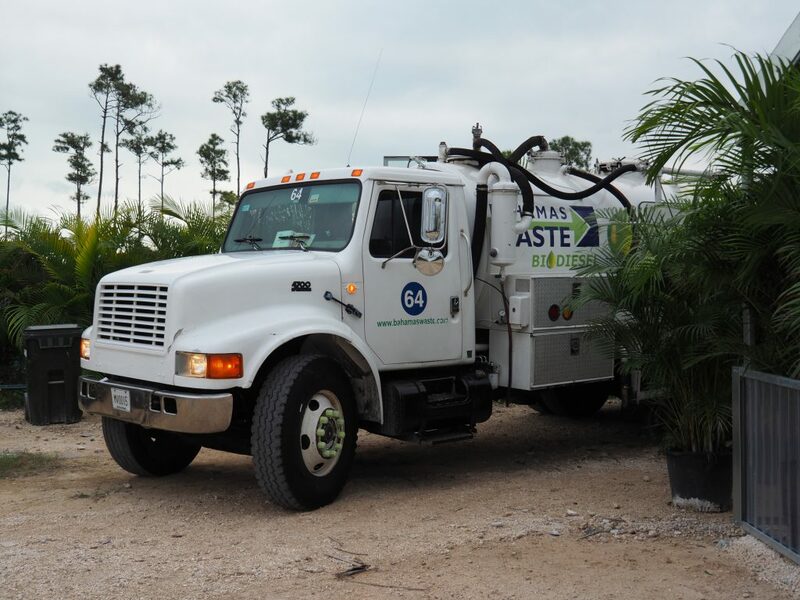 … and a vehicle adapted to operate on 100% biofuels like the CHP unit. 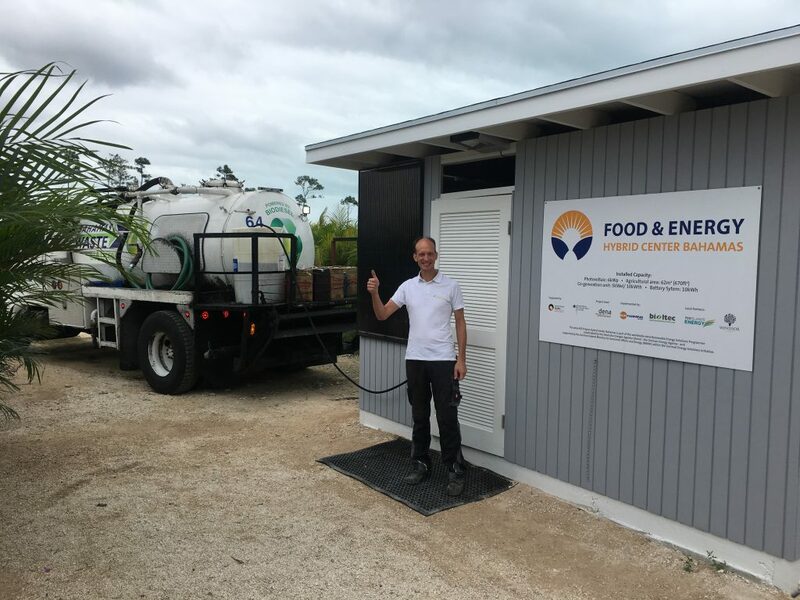 The Hybrid Center demonstrates how food and energy can be produced and consumed in an efficient, reliable and sustainable way by using local resources. 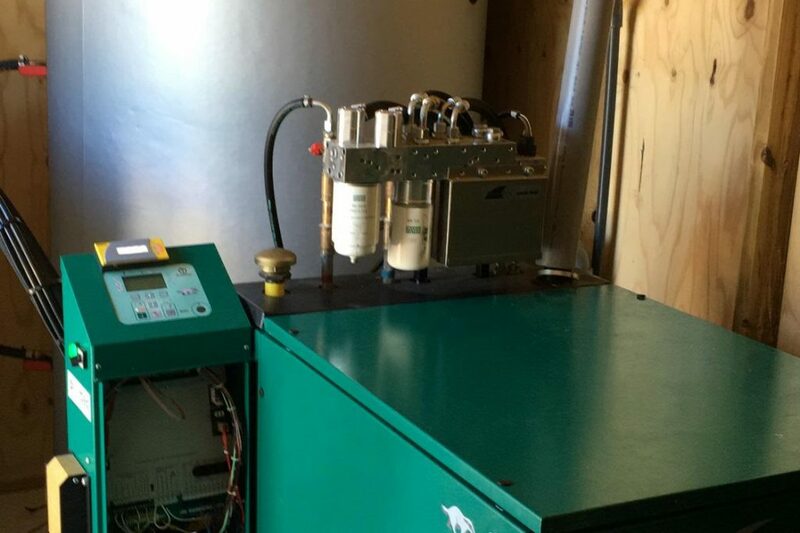 An electricity production of 40,000 kWh from the CHP and 10,000 kWh from the solar plant, the generation of 80,000 kWh thermal energy for hot water from the CHP, the reuse of 16,000 liters of UCO after conversion to biofuel, and savings of 40 metric tons of CO2 are expected per year.